You backyard is supposed to be a miniature oasis for you to enjoy. It cannot be that way if you and your family are constantly tripping in the yard though. You may not realize just how many spots in your yard are potential tripping areas, but once you see them, you can make your yard a safer place to be. Here are 5 easy-to-fix backyard trip hazards. Small holes can be just as dangerous as big holes if they are deep enough to catch your foot in. If you notice some holes in your yard, fill them with a little dirt and a patch of sod. Try to think about what may have caused the holes and correct that problem as well. For instance, if you have a dog, you may need to train him not to dig around outside. Tree roots can extend far beyond the base of a tree, and they can even have an impact on your home's foundation over time. If you have a large tree that is becoming a danger to your family, you may need to consider having it relocated. For an easy fix though, try building up dirt around the raised roots so they are like small mounds to walk across. You'll be less likely to trip on these. Toys and playground equipment can become trip hazards if they are scattered around the yard. Teach your children to put up their toys when they are finished playing with them, and make sure the support bars of swing set and jungle gyms are firmly planted in the ground. Also consider painting the boarder of a low-lying sand box a bright color so people are more likely to see it as they walk by. If you have a path in your back yard made of stones or blocks, consider replacing that with something more solid. You could create a gravel pathway instead, or you could have a solid concrete one installed. This leaves less room for tripping because you don't have to worry about each stone individually. If you notice peaks and valleys in your concrete, get it repaired. This includes issues with cracks in the concrete, as those are easy to trip over. You may be able to handle some small repairs on your own, but if the problem gets bad enough, call in some professional concrete leveling experts to help you out. We fix uneven concrete throughout Southeast Michigan and Detroit. Concrete is an affordable, long-lasting material that works for just about any project imaginable, but over time, concrete floors and pathways can settle into the ground. Settled concrete can be dangerous and unsightly, but luckily, it can be repaired with concrete leveling. This saves you from having to pay for a complete replacement. If the ground underneath the concrete starts to dry and shrink, the concrete may not be able to maintain a level surface. You may notice cracks in your concrete or lopsided areas that are hard to walk around. If you have a particularly unusual season of weather one year, do not be surprised if your concrete suffers from the aftermath. If the fill soil used during the construction of your home is not compacted properly, it will eventually settle and bring your concrete down with it. 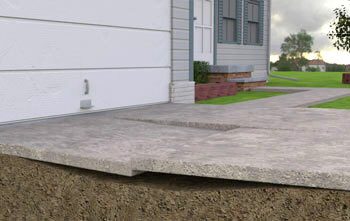 The soil will start to compress due to the weight of the concrete, and it will ultimately cause your concrete to settle. If the plumbing below your concrete leaks, it can wash away the soil that supports it. 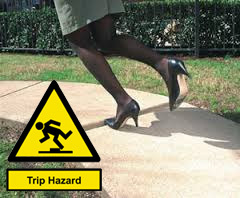 It may also cause flooding under the concrete, which will create a shift in the weight and balance of the slabs. While not as common as the other causes of concrete settlement, tree roots growing near a home can cause concrete to become unlevel. This is usually the case for old, large trees with thick roots near the surface. If you have a big tree on your property, you may want to prepare for this before your concrete is installed. Earthquakes can cause a variety of structural damages to a home, from cracks in the walls to offsets in the doorways. Of course, this can also cause your concrete to sink because the ground shifts unexpectedly. Luckily, issues like this and the others mentioned above can usually be corrected with concrete leveling, especially if you get the repairs done right away. Whether your concrete settles from poor installation or Mother Nature at her finest, you can get it looking like new again without having to get it replaced with our company.